Our Restorative Oil earned its nickname ‘hug in a bottle’ for the deeply comforting power of Palmarosa and Rose Geranium, combined with the positivity of Sweet Orange and the calming qualities of Lavender Essential Oils. All perfectly balanced to help you find your inner calm. Cocos Nucifera (Coconut) Oil, Glycine Soja (Soybean) Oil, Prunus Amygdalus Dulcis (Sweet Almond) Oil, Persea Gratissima (Avocado) Oil, Helianthus Annuus (Sunflower) Seed Oil, Pelargonium Graveolens Flower Oil, Citrus Aurantium Dulcis (Orange) Peel Oil, Limonene, Lavandula Angustifolia (Lavender) Oil, Citronellol, Linalool, Geraniol, Melaleuca Viridiflora Leaf Oil, Tocopheryl Acetate, Commiphora Myrrha Resin Extract, Citral, Cymbopogon Martini Oil, Beta-Carotene, Daucus Carota Sativa (Carrot) Root Extract, Daucus Carota Sativa (Carrot) Seed Oil, Ascorbyl Palmitate. Cocos Nucifera (Coconut) Oil, Isopropyl Palmitate, Coconut Alkanes, Beeswax (Cera Alba), Butyrospermum Parkii (Shea) Oil, Polyglyceryl-3 Beeswax, Theobroma Cacao (Cocoa) Seed Butter, Silica, Helianthus Annuus (Sunflower) Seed Oil, Caprylic/Capric Triglyceride, Coco-Caprylate/Caprate, Pelargonium Graveolens Flower Oil, Citrus Aurantium Dulcis (Orange) Peel Oil, Limonene, Lavandula Angustifolia (Lavender) Oil, Citronellol, Linalool, Geraniol, Melaleuca Viridiflora Leaf Oil, Commiphora Myrrha Resin Extract, Rosmarinus Officinalis (Rosemary) Leaf Extract, Citral, Cymbopogon Martini Oil, Citric Acid. This kit is so beautiful , and that is before you enjoy the contents. 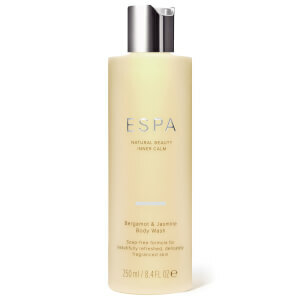 Relaxation comes like a wave and I have never 'got' beauty products until ESPA. JOY! Really lovely presentation box. Perfect for a gift. Wonderful fragrance and oils help to relax me. The balm really relaxes me when used on my temples. I struggle with sleep and I really feel this helps me to relax just before bedtime. The Restorative cream claim to be able to calm PANIC ATTACK as well , wow ! This is what I’m looking for to substitute the tranquilizer I have been used for years ! 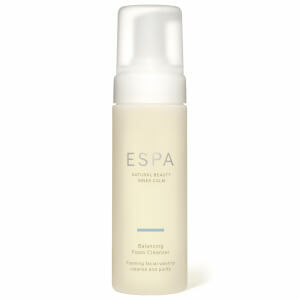 I love ESPA products and they're always a treat. I've used the face products before and have always enjoyed them and find that the serum especially lasts a long time. However I was a bit disappointed with this set, as whilst it's a mini set I thought the bath oil would last longer. You only get two uses from it as the instructions state you need to use half a bottle at a time. The balm is lovely but would have been nice to get more than two baths from the set, so not great value. I bought this as a Christmas present for my friend and she was delighted to receive it. Originally bought this to give to my sister on her birthday. I already knew the content would be fabulous, but when it arrived, I was so pleased with the display packaging that I immediately bought 2 more for Christmas gifts - oh, and then another one just for me!